Say hello to G. Mitchell Baker! It’s nice meeting you, Mitch. Tell us about yourself—you know, all that stuff that makes you interesting! I love spending time with my children, who make me proud with their efforts to keep up, while achieving great things for their age. I have lived half my life in Canada and half my life in the United States. I often joke they made me a part of the North American Free Trade Agreement. You know, books back and forth, then me back and forth. Basically, I have enjoyed living up and down the Rocky Mountain Range. I have always enjoyed living out west, the north and south keeps it all interesting. In the balance, I love the process of writing involved stories with purpose. Writing has become a productive obsession, however, when it comes to time to remove myself from writing, I also enjoy interacting with other writers in writing groups. I benefited from the mentorship of authors early on and enjoy paying forward with my experience and two-cents about writing and the publishing industry. I also like to explore, find new geography, places things, people to see always fun. For this, I may jump in the Subaru with Thule car topper and bike rack loaded with the notion of finding my way into the Rockies, or, to find that special place where “The River Runs Through It”. For movies and music, I have a broad range of interest and appreciation. I left a big Hint above, but I can also watch The Tony Scott (Peace) films, “Déjà Vu” and “Man on Fire” anytime. For music, I may listen to early Humble Pie (Rock On), Dave Brubeck (quintessential), Enya (instant place and time), Nirvana (Unplugged Grunge is Great) or Nina Simone (vocal/piano Jazz, par excellent), all in the same hour. I recently bought a Janice Joplin collection and really appreciate the organic feel for the music in that era, when compared to the polished, corporate style productions we tend to get these days. I guess what may make me interesting, and in turn, keeps me interested in many things is an open mind and an open heart. When you think about it, as much can go a long way, when one is a writer. Absolutely! When and why did you begin writing? In late 1997, I took a sabbatical from the practice of law. I set up shop in a small apartment in Seattle and spend 8-16 hours a day writing my first novel. While wearing the letters off the keys of my laptop, the first novel in contemporary fiction was completed, followed by the second, a Novellum written in science fiction. I then moved down I-5 to San Diego and first learned to write screenplays. I have not stopped writing since, it rarely feels like work and now I am so fortunate to work with such wonderful people on my projects. I promise—no lawyer jokes! What is your genre? Ahhh *joke* away. I can take a little now and then. 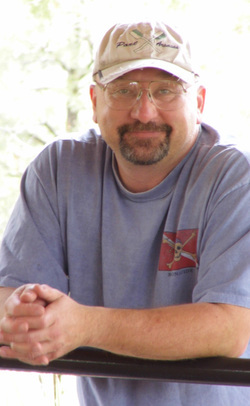 I’ve written and been, or will soon be traditionally published in the four genres of contemporary adult, science fiction, young adult, and paranormal. After fifteen years of writing, I eventually considered relationships with those in the entertainment industry who I am fortunate continue to find my work of interest. Indeed, the first novel I wrote (and that will never see the light of day) was all lawyer (write what you know right?). the cliché, the lack of originality and interest was painfully obvious. I have not attempted to write a “lawyer” as a primary character since. As we speak, the marketing is gearing up for the March 23, 2013 release of my first paranormal effort entitled, “Lethal Believers: The Innocents” from Master Koda Select Publishing. 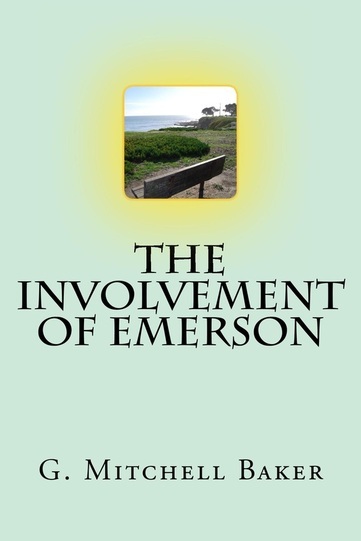 Earlier this month (March 5, 2013) my contemporary adult novel, “The Involvement of Emerson” released in Trade Paperback and is now selling in the UK, US, France, Germany and India. Looking ahead, I recently signed a publishing contract for the fall 2013 release of a young adult effort entitled “Soccer Tommies Baseball Mommies” and am very happy to announce this novel will be released by Master Koda Select Publishing. Generally, the genre I am active in vary and I feel fortunate to have a broad range of interest and the ability to write entertaining stories given that open mind and open heart I mentioned earlier. What is your process? Seat of pants, well-devised outliner? My process tends to focus, initially on the task of capturing ideas, concepts, and not letting them slip away. Then I believe a lot of filtering goes on internally, and before I write. There also a lot of what first appear unrelated concepts that I consider merging and combining to make or create even more original and interesting concepts, ideas and characters. Then, when I write, I tend to write-a-lot. It occurs to me writing “a lot” does not necessarily mean overdoing it in a kind of writing binge. Rather, I believe it is kind of important for writers to place a value on writing consistently and with a plan or structure, rather than what I call hit and miss spree writing And, when you approach it this way, then it comes full circle to the notion I mentioned of capturing your ideas and concepts. Sometimes, when you structure and plan your writing, you will not see that “captured concept” for weeks, days, months, sometimes years! But hey, relax! It is captured, waiting for you to prepare yourself to write with a style and discipline that keeps you from burning out, and that publishers know they can rely on as a professional, dependable approach. One other “process” I may mention, is that I tend not to be one for outlining, but do treat screenplays as an elaborate outline if I write a story in that format initially. I often find myself adapting stories back and forth from novel to screenplay or screenplay to novel. What is your favorite work by you? And why is it your fav? I do not know if I have a “favorite”. To start, I only write about what interests me and then survives my personal testing for the criteria of “original and interesting”. All my projects are close to me, and there is something about each that could make anyone my “favorite”. I guess if I had to choose, the new release “Lethal Believers: The Innocents” is a favorite in the moment, because it takes on some pretty-tough storytelling about distinct social issues, while relying on the limitless genre of the paranormal/supernatural. It was quite an experience to write about characters, both “real” and ‘supernatural” taking on edgy social issues. I think I really responded to the dynamic and the result is an intensely paranormal story with mythic intensity. Where does your character inspiration come from? When I contemplate a character, or characters I think in terms of assembling 5 to 10 characteristics and try to think in the broadest of terms. For example, I strongly believe environment/setting is “character” in most stories. Thereafter, I will typically write about 15,000 words into a story, and then consider changing a character to the opposite of what I originally cast. I have found doing “The Flip” or “The 180” sometimes helps me create a more original and interesting character. The challenge is to my comfort zone(s) and immediate. It forces a process of working to develop a character not known to me and hence unfamiliar. It is usually a productive experience to begin a new relationship and to develop that relationship with a character, rather than assume the familiarity, by the mere process of invention, is enough. This kind of approach becomes important for me, given I write a lot, in many genres and there tend to be many characters involved in my story lines. Again, I strive for originality and interest. I suppose, in fact I am quite sure these kinds of approaches also help me not to rely on people from my direct experience. I do not ever want to inadvertently “create” a character based on someone I know, or have known. Also, and after I am well into a story, I seem to resist wanting to know what a character is going to do. Sounds kind of odd, but a lot of time, the inspiration comes from allowing the character to be just that—a character and not simply an invention or contrivance the subject of tacit manipulation. One of the most rewarding experiences as a writer is when the character takes on a life of its own and begins to take me through the story. What’s your best/worst experience as a writer? The best is always when there is a great team that makes the project the best possible, given most circumstances. There are the worst experiences, but I choose to look forward, positive directions, rather than lingering in another’s morass. To be able to look forward in this business means, you will move forward and that leads to the odds, perhaps helps with the law of averages that more of the best will prevail. Alright, moving on, how about the best/worst writing advice you ever got? Some of the best advice received was to write every day, the point being, to write regularly, consistently and to learn and develop the craft of writing. I have found this kind of consistent focus forces one to learn that is really about how much work it really is to write well and publish well. The worst advice always seems to come down to those who would suggest, encourage, or even try to impose shortcuts and compromise. Bottom line, one puts a lot of work into a project and a lot of work will be what it takes to finish strong in the endeavor. What is your latest work? 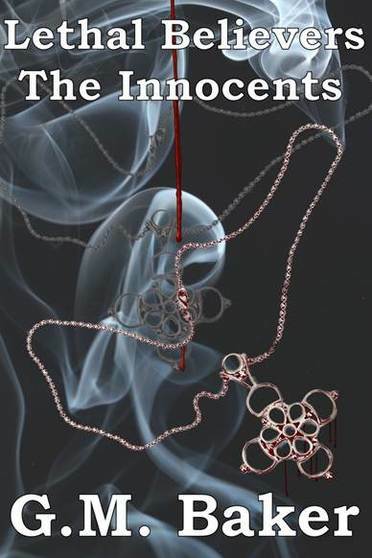 The Book Release/Launch of “Lethal Believers: The Innocents” from Master Koda Select Publishing is scheduled for March 23, 2013. “Lethal Believers: The Innocents” is intense paranormal! Malachi Danta-Mercadel, retired Interpol/Secret Service rails against the Mantid Tranquil organization bent on vesting a form of paranormal revenge given Danta’s handiwork for exposing Mantid’s illicit operations. “Lethal Believers: The Innocents” releases March 23, 2013 from Master Koda Select Publishing. If the Book Junkies are ready for some intense paranormal, some mythic intensity then they should join MKSP and me on Facebook for this Online Book Release and Event. There will be contests, giveaways and the chance to ask me a little about this upcoming release. What do you want your fans to know about you and your work? My fans may want to hear that I, and for most of my projects have written a lot and there are more books to follow. I like the fact there is work ready to continue fueling my fans’ interest and appreciation. For example, the second novel in the Lethal Believers series is already with the publisher. The third written and waiting its turn. If my readership wants to continue with the Intensity of taking on difficult subject with the help paranormal and myth then the Lethal Believer Series will be worth the attention. Share something about yourself that your readers do not already know. In November 2012, I had the pleasure of writing an article for London’s Book Junkies Journal and eFanzine, the host of this, my second Interview with Book Junkies. The article, “Why I (now) enjoy writing in the paranormal genre”, was my effort to provide insight, from my perspective, that took on the suggestion that such a limitless genre as “paranormal”, should indeed be treated as limitless, rather than resorting to labels and limits. “When it comes to writing about the paranormal, the supernatural and the praeternatural, as much can make for a fun and all-inclusive paranormal pallet, rather than a confusing and limiting effort to structure yet another story around an all too limited and distracting use of labeling within the context and categorization of the paranormal genre. Peek, see what you pull from this article and see if you come away looking at the notion of writing, or reading “Paranormal”, perhaps a bit differently. Where can readers find out more about you and your work? Where can readers purchase your work? Please join us March 23, 2013 for the release of “Lethal Believers: The Innocents” where the purchase information will be released as a part of the launch. “The Involvement of Emerson” is an edgy novel in contemporary fiction, focusing on the choice of an estranged father, who, and despite the most challenging circumstances, chooses positive relationships, and to remain involved in his children’s lives. “The Involvement of Emerson” is available on Amazon in the UK, USA, France, Germany, and India and also on Bookadda – India. Look for the second novel in the series “The Consistency of Emerson”, slated for release during the 2013 holiday season. Thank you for spending time with us today, Mitch. We wish you well for the launch!